Sally May takes the family on a vacation, but there’s never a dull moment on the ranch. Hank learns about a tool thief on the loose who uses a monkey to help him do his dirty work. And before long, Hank finds himself face-to-face with the pilfering primate! 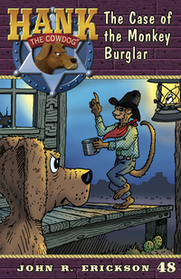 Can Hank catch the criminals, or will the crooks make a monkey out of him?